When you pick up a novel titled How to Find Love in a Bookshop, you pretty much know you're not going to get elements like crime and suspense. But that doesn't make Veronica Henry's book any less important than the Erik Larson and Stephen King titles out there. Because in this day and age, sometimes all it takes to make you feel better is a few hours spent in an enchanting bookshop. Julius Nightingale is the beloved owner of Nightingale Books, a place where one is always welcome to peruse for hours and the right book will almost certainly make it into your hands. Julius passes away with a few secrets, including the fact that the bookshop is in trouble. It's up to his daughter, Emilia, to save the store if she wishes. In addition to this main arc, the reader is introduced to a whole other cast of characters, but all of them are tied nicely into Nightingale Books. I simply loved this novel -- there, I said it. 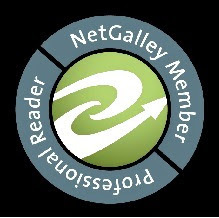 You could almost say that Nightingale Books itself was the main character, and I know I'm not giving anything away (because why would you pick this book up if you didn't know this?) by saying that everyone's storyline comes to a lovely resolution. 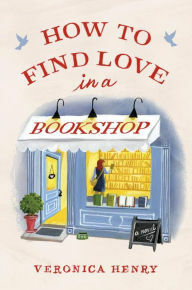 How to Find Love in a Bookshop is the novel that people need right now...period.